Highland Park Brewery has opened a sprawling 9,000-square-foot brewpub in Chinatown, sporting exposed brick walls, furniture made from the building’s reclaimed fir wood beams, a long bar and dog-friendly patio. Look for the brewery’s signature cult-fave IPAs, lagers, coffee stouts and mixed culture fermentation locally brewed specials. A full food menu includes beer-battered cheese curds with spicy harissa and green chile crema, elote salad with radish and jalapeño, chicken tinga or crispy cauliflower tacos, Bub & Grandma’s bread and cheese, and a sausage plate. Lunch Fri.-Sun., Dinner nightly. Highland Park Brewery, 1220 N. Spring St., Los Angeles, CA 90012, 213-878-9017. 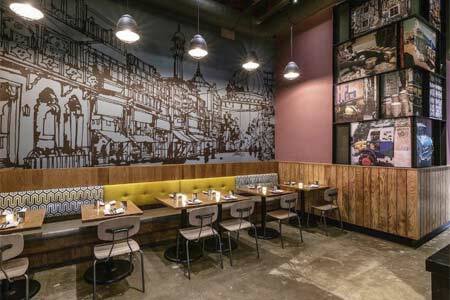 A second location of DTLA contemporary Indian restaurant Badmaash has opened on Fairfax in the former 88 Chinese space. Look for old favorites and some new dishes, including flaky catfish Punjabi fish fry, chicken tikka poutine, spiced lamb burger on brioche, creamy black lentils and ghost chili lamb vindaloo. Opening hours are limited to dinner in June, but lunch will be added mid-summer. Badmaash, 418 N. Fairfax Ave., Los Angeles, CA 90036, no phone. Punta Cabras, formerly one of the Westside’s most inventive taco spots, has re-launched 2.0 in a new Santa Monica location just a few blocks west on Broadway. The sleek space includes a taqueria community table, banquette seating, a big colorful bar and patio tables. 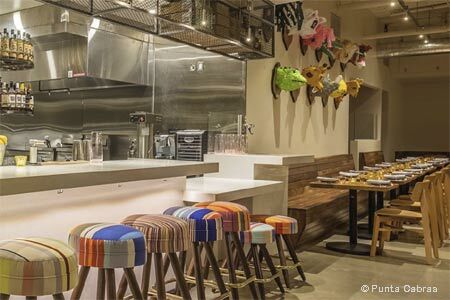 Modern Mexican and coastal cuisine is crafted by chef Daniel Snukal. Expect elegant renditions of baked oysters with uni, lobster tacos, pig’s head with cilantro pesto, grilled Manhattan steak, and a raw bar featuring a seafood tower. Lunch & Dinner daily. Punta Cabras, 930 Broadway, Santa Monica, CA 90401, 310-917-2244. In Sherman Oaks the airy, sprawling new 7Fusion is the creation of Edu Obasi, whose menu is inspired by travels to all seven continents. Look for dishes including grilled octopus salad with fresh pineapple, rib-eye with purple yam, and chicken with red curry. Hotpot options range from beef to mushroom, lobster and blue crab. 7Fusion, 14235 Ventura Blvd., Sherman Oaks, CA 91423, 818-465-3177. Restaurateur Bill Chait (formerly of Sprout LA group) is behind Tesse in West Hollywood. Chef Raphael Francois helms the restaurant and offers a menu inspired by French classics. Tesse, 8500 Sunset Blvd., West Hollywood, CA 90069, 310-360-3866. TŪMBI Craft Indian Kitchen has opened in Santa Monica. The restaurant, which features ocean views from its patio, puts a modern spin on traditional Indian staples such as curries and dosas. TŪMBI Craft Indian Kitchen, 115 Santa Monica Blvd., Santa Monica, CA 90401, 310-829-7200. On June 7, Gotta Have S’more will open its doors for grab-and-go artisanal s’mores on Fairfax in the Little Ethiopia neighborhood. Chef/owner Annalisa Mastroianni Johnson creates a marshmallow-topped cupcake-sized treat that combines the elements of a traditional s'more, with house-made graham cracker and a chocolate base; it's also available in milk and dark chocolate, salted caramel, peanut butter cup, and cookies and cream. Gotta Have S’more, 1066 S. Fairfax Ave., Los Angeles, CA 90019, 323-646-4114. Maui’s popular franchise Coconut’s Fish Cafe is open in DTLA on South Hill Street. Look for the signature seven-layer taco with grilled fish, coconut milk, mango salsa, coleslaw, wasabi and cheese, as well as other Hawaiian-tinged tacos, salads, grilled mahi mahi and ono fish sandwiches, and burgers, pastas and seafood chowder. Coconut’s Fish Cafe, 809 S. Hill St., Los Angeles, CA 90014, 213-628-6232. This summer, inventive mixologist/chef Matthew Biancaniello will launch Mon Li, a bespoke 12-seat bar-restaurant in Malibu at the Calamigos Guest Ranch and Beach Club. The venue will open three nights a week, Thursday through Saturday, with a 12-course omakase “liquid tasting” menu based on Biancaniello’s signature seasonal foraged and garden creations alongside other dishes such as an uni roll with passion fruit and nasturtium, wild cactus salad, and perhaps goose barnacles. Mon Li, 26025 Pacific Coast Hwy., Malibu, CA 90265, no phone. French-inspired Barbette has emerged in West Hollywood’s former Tinto space. Owners Jared Meisler and Sean MacPherson (The Pikey, Jones) have brought on an April Bloomfield protégé, NY chef Robert Flaherty (The John Dory), to create a casual, seasonally driven bistro menu. Expect a noteworthy bar with craft cocktails, too. Barbette, 7511 Santa Monica Blvd., West Hollywood, CA 90046, 323-850-8888. At Lukshon in Culver City, chef Sang Yoon will debut a new, refined six-course tasting menu on June 15 ($110 sans tax and tip). Look for top-sourced ingredients like Channel Island box crab and imported Wagyu, and rarer seasonal specialties. The tasting menu requires reservations; wine pairings are also available. Lukshon, Helms Bakery, 3239 Helms Ave., Culver City, CA 90232, 310-202-6808. 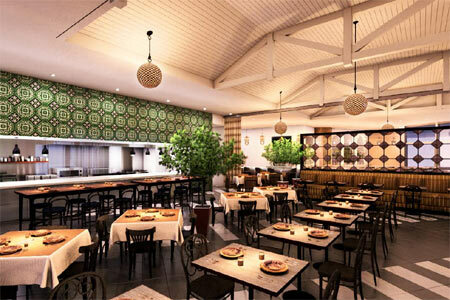 Burbank’s hillside The Castaway restaurant has officially reopened after extensive renovations. Chef Perry Pollaci (The Royce) creates a seasonally inspired, steak-forward menu offering prime meat from the in-house dry-aging room, a raw bar and build-it-yourself charcuterie boards. A 10-top chef’s table allows guests to interact with Pollaci. The beverage program is directed by sommelier Paul Coker (Stonehill Tavern, Studio at Montage Laguna Beach), who also oversees a fully functional wooden wine cellar. The new design driven space has sweeping views of the valley; so does the large multi-level patio that sports fire pits, secluded nooks and teak furniture for lounging with craft cocktails. Castaway, 1250 E. Harvard Rd., Burbank, CA 91501, 818-848-6691. Chef Chris Ono (Eleven Madison Park, Esters Wine Shop & Bar) is helming the stoves at Paul Hibler’s Fairfax spot Gesso. 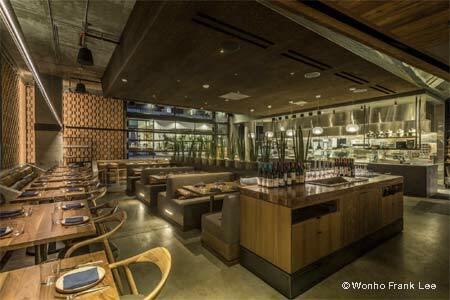 Look for his new menus to focus on contemporary California cooking. Gesso, 801 N. Fairfax Ave., West Hollywood, CA 90046, 323-544-6240. George Abou-Daoud’s charming modern Middle Eastern eatery in Hollywood, Farida, has closed. No update yet on what may replace it. Farida, 6266 Sunset Blvd., Los Angeles, CA 90028, no phone. Chef Andre Guerrero has closed the Hollywood branch of The Oinkster. The original Eagle Rock location of his quality quick-serve eatery remains open. The Oinkster, 776 Vine St., Hollywood, CA 90038, no phone. Downtown's Cleo at L.A. LIVE has shuttered. Diners can still find the restaurant's Mediterranean fare at Cleo on Third Street. Meanwhile, the original Hollywood location is still temporarily closed for renovations. Cleo, L.A. LIVE, 800 W. Olympic Blvd., Los Angeles, CA 90015, no phone.